Bangkok has many interesting and exciting things to do, and you can find lots of them in Sukhumvit, the longest road and boulevard in Thailand! During your visit, it is a must-do to explore this amazing road and all of its fabulous Sois. Worry not, because this guide will show you everything about it. As always, enjoy this guide by Apoteka and do not forget to visit us on Sukhumvit Soi 11, the best live-music bar with the most delicious dishes and cocktails in Bangkok! It is better to start with a general view on the longest Thai boulevard, and here you have it. What Makes This Road So Special and Worth Visiting? There is one thing you need to know: Sukhumvit lacks of historical attractions, but it is huge in shopping, nightlife activities and exciting experiences. Many persons who visit BKK want to do something else besides visiting temples, which although is one of the most important things to do here, this city has much more to offer. The road is divided by Sois (they are streets), and each one of them has its own attractions. Not all of them are equally exciting or for every kind of person, that is why we will bring you information about each one, so you can know what Sois are worth visiting during your stay. What Is The Best Soi to Find a Hotel? It depends on your budget. We have a guide on the best hotels on Sukhumvit Soi 11, which you can check to find excellent places to stay. However, you have to know that there is one that is known as the “Hotel Soi”, and it is the Sukhumvit Soi 15. Here you can find so many places to stay that it is impossible not to find something that meets your requirements. Overall, you can find excellent accommodation options in nearly all Sois, and as you know, we have already done the hard job for you by reviewing the best places to stay in Soi 11, so check it out. How to Get from Airport to Sukhumvit Area? It is a very broad question, because as we have said before, Sukhumvit has many different sois. The easiest way to get to your hotel is to find the closest Skytrain stop. However, if you are traveling in group, then a taxi is far more reliable option in most cases. Only take into account that during peak hours the traffic can be overwhelming, so it will take longer to arrive from the airport to your selected Soi. Is There More Than Nightlife and Shopping? Now that you have this proper overview, let’s start with the most exciting and interesting part of this guide. One of the biggest attractions of this boulevard is shopping, and under this section you will find everything about it. There are so many venues where you can do shopping. So, here you have a top-3 of the best malls and markets. If you are looking for the real elegant and high-ticket stuff, then you need to visit this mall. Here you will find designer brands and top-notch clothes and products. It is not cheap under any means, but if you are looking for this, then King Power Complex has what you need. Prices here may scare the budget-conscious traveler, but if you do not care much about money and want to enjoy shopping on its maximum expression, then this mall will be like a paradise for you. A piece of heaven right in Sukhumvit Road! You can find it at King Power Complex, Phayathai, Bangkok. We have talked briefly about this venue in our guide to Sukhumvit Soi 11, but in this guide, we will do it in much greater detail, because such a great mall deserves it. It is not only one of the best malls in this area but in the entire city, because it offers you a radically different shopping experience, something that you may have never tried before. The concept of this mall spins around placing world-famous cities in one single place. Here you can eat something in San Francisco, do shopping in Tokyo City, find great deals in Istanbul and stroll through London streets. Shopping in this small is like traveling in a tunnel that transports you around the world. Therefore, you can find all sort of products, something that makes this mall so special, because you can find pretty much anything you want. It is a 9-floors mall with over 600 shops along with a supermarket and a food court, where you can enjoy all sort of delicious dishes including the exotic and mouth-watering Thai cuisine. You will find a section with the best restaurants in this boulevard, but for real, if you are a real food lover, then you will feel like in heaving while shopping in Terminal 21. In the fourth and fifth floors, you will find over 50 restaurants and a food court, and there is so much variety and delicious food that you will not believe it! However, the prices are quite affordable for what you get. You have to visit it to experience it, and therefore, we invite you to do so. Be ready to spend a whole day here, because you will see so many things that you will not want to stop! You can find it at Terminal 21, 88 Soi Sukhumvit 19, Khwaeng Khlong Toei Nuea, Khet Watthana, Krung Thep Maha Nakhon 10110, Thailand. If you were impressed with Termina 21, then you will also be with EmQuartier, or perhaps even more. Here you can find tons of shops with some of the most luxurious and expensive brands in the world. You will want to spend a lot of time here, because the infrastructure is simply phenomenal. One of the most amazing aspects is the beautiful atrium garden with a waterfall, enough said, right? You can also find many restaurants where you can enjoy a delicious meal, although, we believe that Terminal 21 is superior in this sense, because you can find a greater variety of dishes and options over there. Shopping in EmQuartier is far more expensive than in Terminal 21 and is more like King Power Complex, but of course, in a completely new level. However, not everything is Louis Vuitton, Golce & Gabanna and Dior, because in the upper-level you can find more affordable brands like Super Dry and Zara. The entire mall is a pleasure, because it has an impressive design that will delight you. You will find a fair share of green in every floor, something that makes this place even more special. It is part of the ambitious EM District project, which has already merged this mall with the older yet renovated Emporium mall. The EmSphere will be the final piece for this magnificent project, which will feature a modern and beautiful spherical design that will host over 1000 shops. You can find it at The EmQuartier, 693 695 ถนนสุขุมวิท Khlong Tan Nuea, Watthana, Bangkok 10110, Thailand. You can find this peculiar market between Asok and Nana. Even though it is not as luxurious as Terminal 21, King Power or EmQuartier, you will be amazed with the vast diversity of products you can find. If you are looking for very special imported snacks and comestibles that you cannot find in other stores, then you will find it in Fuji Supermarket. Here you can also find one of the best sushi restaurants in the city and a photo shop. You can find it at Sukhumvit Sois 33 & 39. If you are looking for great bargains in clothes, then this is the place to be. 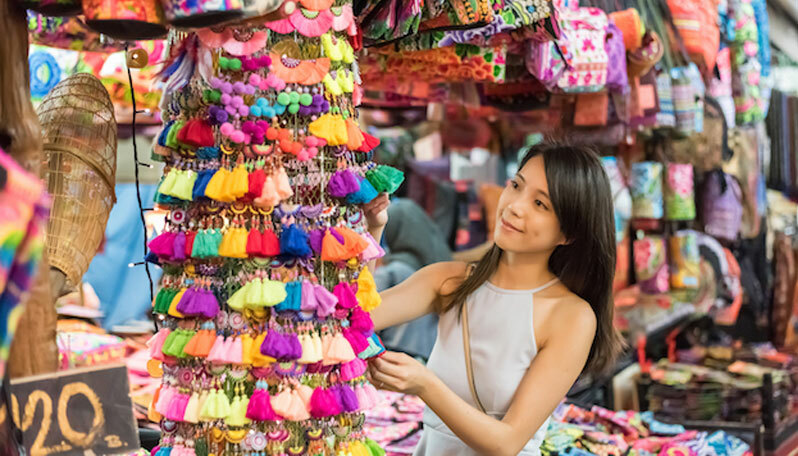 Even though this market is aimed to bulk buyers, you can still shop around, and take note that everything gets even cheaper if you take 3 or more clothes. There are so many shops to visit, but remember that most start closing at 17:00-18:00, so plan accordingly. You can find it at Pratunam Market. Now you have a clear notion on the best places to shop in Sukhumvit. As you can see, there is a lot to do, and these 6 places will provide you pretty much everything you need. Now it is time to talk about the best restaurants in this area! There is so much to choose from, because gastronomy in Thailand is so delicious and exotic that you will never run out of options. Here you will find a list with the best places to eat along with a brief yet concise description. Let’s begin! We have already talked some good places to eat in Soi 11, but here you will find more and better places to eat, because we will talk about many Sois! One of the best Thai restaurants you will find in BKK, and the curiosity here is that it is ran by an American. It is just 5 minutes away from BST, and here you will find some of the most delicious traditional Thai dishes in an original and picturesque environment, thanks to its wood construction and decoration. You can find it at 56/10 Sukhumvit Soi Thonglor. The name is pretty interesting and controversial, but the food is simply awesome. Here you can enjoy the most traditional Thai dishes to some of the most exotic like a delicious spicy-sour deep-fried catfish salad served with a refreshing mango dressing. The prices are very affordable, especially for the high-quality dishes you will find here. There is lots of variety and the staff is very friendly, therefore, a restaurant that scores high in everything. You can find it at Sukhumvit Rd, Bangkok 10110, Thailand. The magic of this restaurant revolts around fusing a lively atmosphere with high-level cuisine… the perfect blend. This place specialized on modern Pacific and Australian cuisine. This place offers you a very interesting, comfortable and innovative atmosphere. The food is great and the restaurant itself is a whole experience that you need to try. You can find it at 28 Sukhumvit Soi 47. If you are in the mood for Italian food, then Enoteca is the place to be. Here you will find the most delicious Italian dishes, along with a vast collection of wines. The menu brings so lots of options, so you have plenty where to choose from. Similarly to Freebird Restaurant, here you will find the most classical dishes and also the most innovative and creative ones. You can find it at 39 Sukhumvit Soi 27. 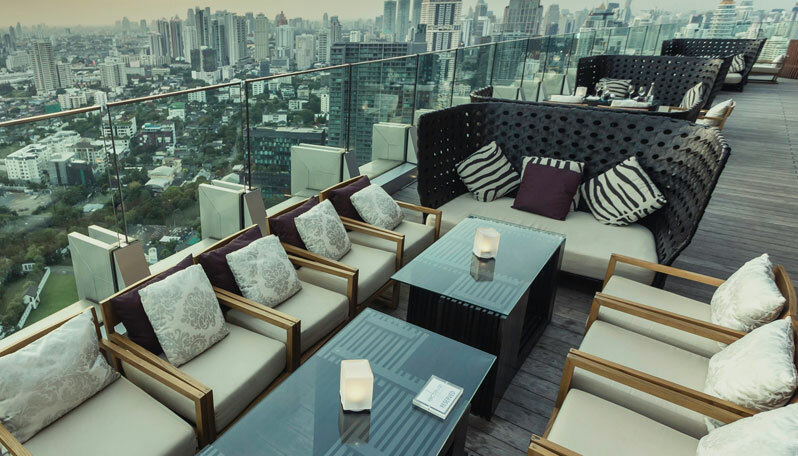 Even though it is not as high as the rooftop bars around BKK, its food is seriously delicious and is presented in an elegant and creative style. It also has a large selection of cocktails, beers, spirits and wines. Here you will find the longest table in Thailand, and the whole environment is so stylish, elegant and modern that you will love it from the first moment. You can find it at 25th Floor, 48 Column Tower, Sukhumvit Soi 16. This restaurant is special because it is in an old Thai house with a beautiful garden.  We recommend it because the food is supreme, it is one of the best restaurants in BKK, and therefore you should visit it. You can find it at 32 Petchaburi Soi 17. What Are The Best Museums and Galleries in Sukhumvit? 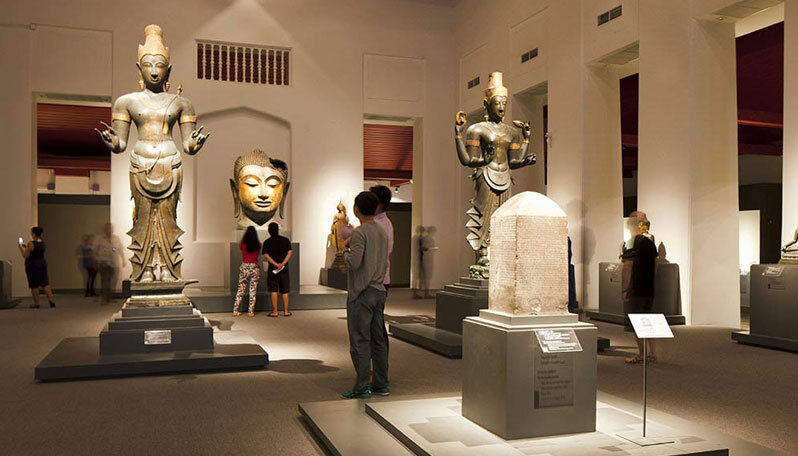 Partying and clubbing is not for everyone, but worry not, because you can find excellent museums and galleries in this part of Bangkok. Right here you will find a list with the best option at your disposal and how to get there. Here you will learn about traditional Thai medicine and see how it has evolved with the pass of the time. If you are looking for a quieter yet entertaining experience that will show you an important aspect of Thai culture, then this museum is what you are looking for. Find it at 40 Sukhumvit Soi 38. Here you will find the newest and most daring Thailand’s design innovations. If you want to learn more about design, explore how it changes over time affected by several factors and check temporary exhibitions, then you have to visit it. Find it at 6F, Emporium, 622 Sukhumvit Rd. This peculiar museum was transported from Chiang Mai to BKK in 1964, and it was assembled piece by piece. This museum and house shows you everything about traditional Thai culture, including the tools used by different civilizations present in the country. It is not very big, but in as short as 30 minutes, you will learn a lot more about the history of this beautiful country. Find it at 928 Sukhumvit Rd. This museum is all about scientific knowledge. The most important attractions are the aquarium and the planetarium. However, there is also a section dedicated to sports science and communication technology. Now, it is time to answer specific questions you may have, so you can find the perfect Sois for you. Where Is The Best Nightlife? If you are looking for the best clubs, parties and bars, then you will find them in Soi 7 to 11. Not in vain you will find us, Apoteka, on Soi 11. Whenever you want to enjoy a delicious meal, a refreshing cocktail and the best live music in the city, then just visit us! You can also find your fair share of good restaurants like Cheap Charlies (Mexican food) and Limoncello (Italian food). What Is The Best Part for a Family to Stay? These Sois are a lot quieter than Soi 7 to 11. Here you can find good restaurants like Jin Seng, Yong Lee and Zeist and great hotels like Sofitel Bangkok Sukhumvit (Soi 13) and S15 Sukhumvit Hotel (Soi 15). Nightlife is not very active, and therefore, a good place for families to stay. Moreover, it is a good place to meet other expats, because it is very popular amongst them. However, there is another part of Sukhumvit that is great for families: Soi 14-22. Here you will find a great and peaceful park, and the entire area is very tranquil in fact. You will not find noisy bars here, just some supermarkets, nice places to stay, good restaurants and a very relaxed and peaceful vibe in the always-busy and active Sukhumvit Road. Finally, you should also check the Soi 8-12 area, which is very similar to the previous two ones. It is perfect for families, so take note. Where to Find Go-go Bars? There are two clubs that are especially popular: Narz and Narcissus and Glow. And of course, in these Sois you will find the best go-go bars. More specifically, you will find them in Soi Cowboy. Here you can also find the majestic Terminal 21 mall and a good hotel, the Jasmine City Hotel. Where to Find a Little Bit of Everything? If you want a fair balance between nightlife venues, restaurants and shopping, then the Sois 31 to 51 are the place to be. The Soi 33 is red light, so be aware of that. However, in these Sois you can find great hotels like Hotel Lotus (ironically in Soi 33) and excellent restaurants like Tenderloins, L’Opera, Chapter 31 and Ambience Bangkok. The best bar in the zone is Lips 33. For shopping you can visit Noriko and Atelier Pichitra, and if you are looking for a good spa, then Kae Kai is the place to be. Where to Find the Best Galleries? This is one of the most sophisticated areas, and here you can find the best galleries. Moreover, here you will also find the famous Little Arabia, an area composed by Middle Eastern restaurants. If you are a fan of that cuisine, then you will have a great time here. 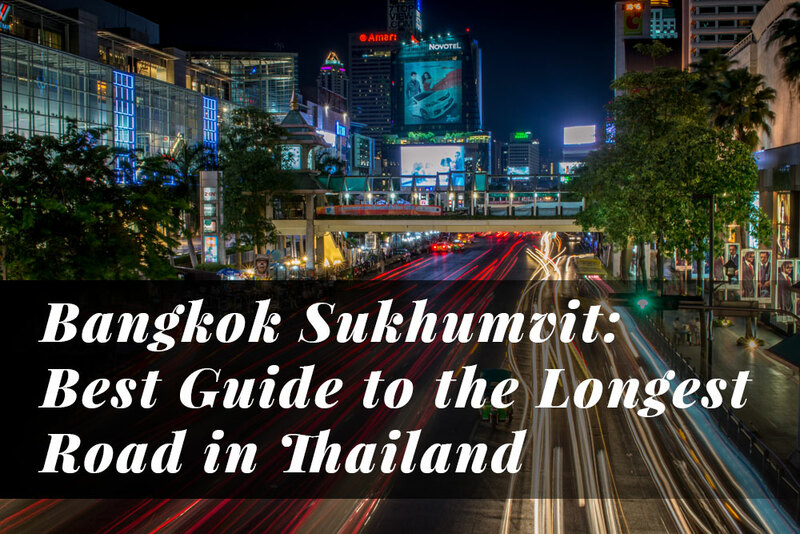 Now you have a guide that will take you to enjoy the most interesting parts of Sukhumvit depending on what you want to do. Now you know where to find the best nightlife venues, the best restaurants, where to do shopping and how to get to this area. If you have any question, just let us know. We are here to help you to plan the perfect trip to Sukhumvit, only let us know and we will answer you!